By planning ahead you can save money on utility installation by combining the excavation work. In addition to that, you won’t tear up your yard and landscaping later on by bringing in the heavy equipment needed for excavation. You’re going to need electrical power to build your cabin. You can always use a portable generator and this may be a necessity in some remote areas, such as building a small cabin off the grid. But the best way is to have your permanent power lines run in near the site and then install a temporary power outlet panel. The temporary power pole uses your electrical meter mounted in a box with GCFI outlets so you can run extension cords for your power tools. The weather-proof GFCI outlets protect you against ground faults. When the cabin is complete, the power company simply transfers the meter to its permanent base on the house. The temporary power pole also has breakers that you can reset if you draw too much amperage. For long distances be sure to use a large capacity, heavy-duty extension cord (#10 or at least #12 wire) or you will be tripping breakers and prematurely wearing out your tools with low-voltage being delivered. You should have already made the connection to the local sewer system or installed a septic system on your site, bringing the connection in to your foundation, whether it’s a slab, basement or crawlspace. But until these are hooked up later on, you’ll need a temporary job-site toilet for the build. Rental porta-potties can be found nearly everywhere and only cost a couple dollars a day. If your well is already drilled, go ahead and install the well pressure pump. Then tap into this line from the well and run your water lines into your cabin water feed. You can connect a temporary water pipe where you'll eventually put an external tap for a hose. I always use a deep meter box to protect the water line and shut-off valves and keep them below the frost line. If you don't have a well you're going to tie into the local water system. This is typically run alongside the road. You can bring this water line up to the cabin and install a temporary water pipe by an external water location. I just use some PVC pipe and a hose bibb so we have water available for washing hands, cleaning brushes, mixing concrete and grout, watering grass seed, etc. I keep an old hose for construction so it doesn’t matter if I get concrete or stain on it. With cell phones I don’t bother with temporary telephone lines even though you can still run into difficult reception if you're building a cabin in the mountains or far from built-up areas. But it’s important to run your permanent telephone lines while you have trenches dug for installing utilities like electrical lines, cable or fiber-optic and water. In western North Carolina we’re allowed to run telephone lines in the same trench as electrical lines, as long as there is a minimum of 10” of well-packed dirt between them. 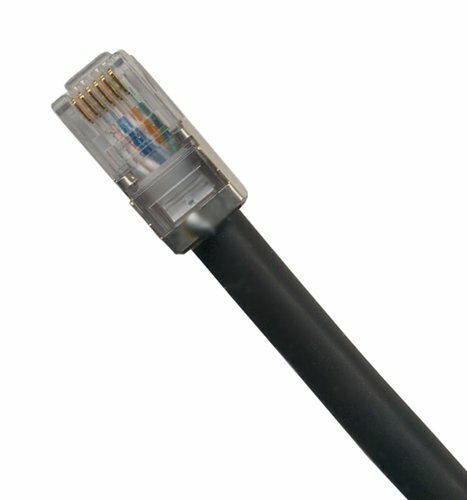 Although these don’t enter the picture until much later on in the process, the time to install the fiber optic cable is early on while you already have trenches dug. Otherwise you’ll be digging up your yard to install these later. Before covering up the trenches you dug to run electric, fiber, sewer and water piping, be sure to get your building permit signed off by the building inspectors. If you're installing radiant heating in the slab now is the time to prepare for the pour. 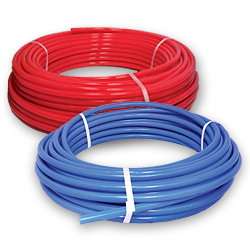 Lay out your PEX tubing in loops according to your heat distribution. 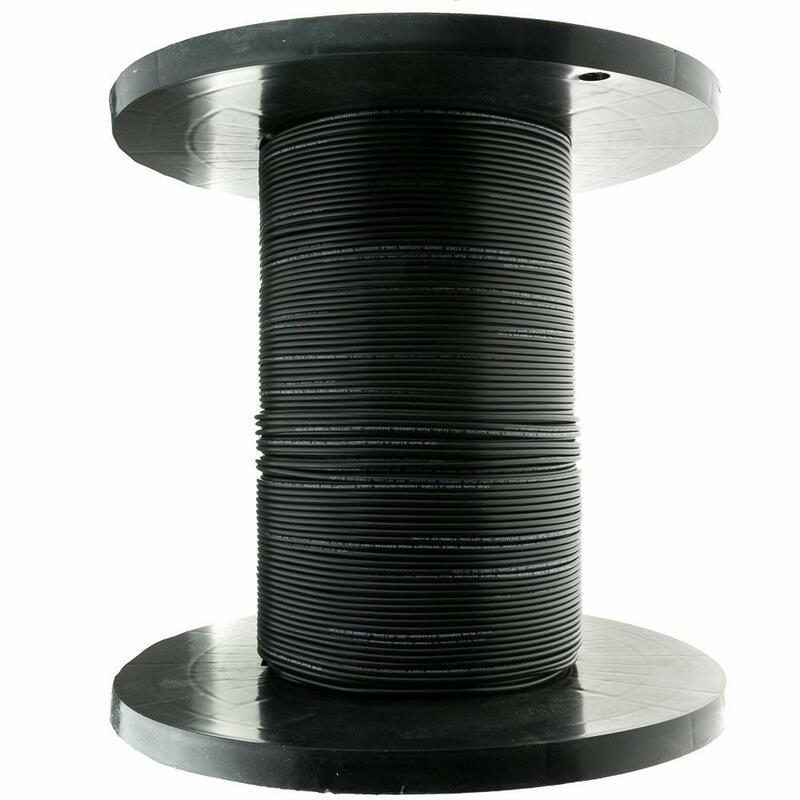 PEX stands for cross-linked polyethylene and has been used in Europe for over 30 years. It is ideal for this application, transfers heat well and can withstand temperature extremes. Careful advance planning when installing utilities will make your build go smoother and faster and result in less disruption of the work and of your landscaping. You will also save money with less excavation work.